Where to buy first tail? Thread: Where to buy first tail? Hey there! I am new to mermaiding, and looking to buy my first tail. I am not willing to spend thousands of dollars on my first fabric tail (lol). I was thinking of getting a Fin Fun at first, but now that I am a part of Mernetwork, I would like to hear what you guys think. Who makes a good quality, cheap(er), fabric tail? Thanks! I like the monofin from suntails better than the finfun one because it feels more secure and I got better propulsion. To me the finfun one seems poorly made and thought out but I hear of so many mermaids loving the finfun (they also buy the new one which has fixed this issue or have bought a monofin stabilizer from a separate company). When it comes to the tail skin itself -I greatly prefer the finfun. The material is it as see through at the suntails one I have is and finfun has so many more choices and they have the reinforced tips on the fin. More size choices too. Either is a good company in my experience (yes, I own both brands along with many monofins) for someone looking to get a budget friendly tail. I got my finfun ones on amazon for less than their website so depending on which tail print you want, so I would shop around a bit and see - you never know when you may score a deal! Hope this helps in any way, and happy shopping! My first tail was a fin fun, but Magictail is a good place. Last edited by Mermaid Juturna; 11-03-2018 at 08:36 AM. I'd be careful getting a suntails monofin. My family has owned 4 in total and all of them have snapped within a few uses. I am a really intense swimmer in them though, so this may not happen for you. The plastic most monofins are made out of (swimtails and finfun) is called polypropylene. It's a rubbery plastic which turns white when you bend it, then snaps. You'd recognize it from cheap childhood toys. 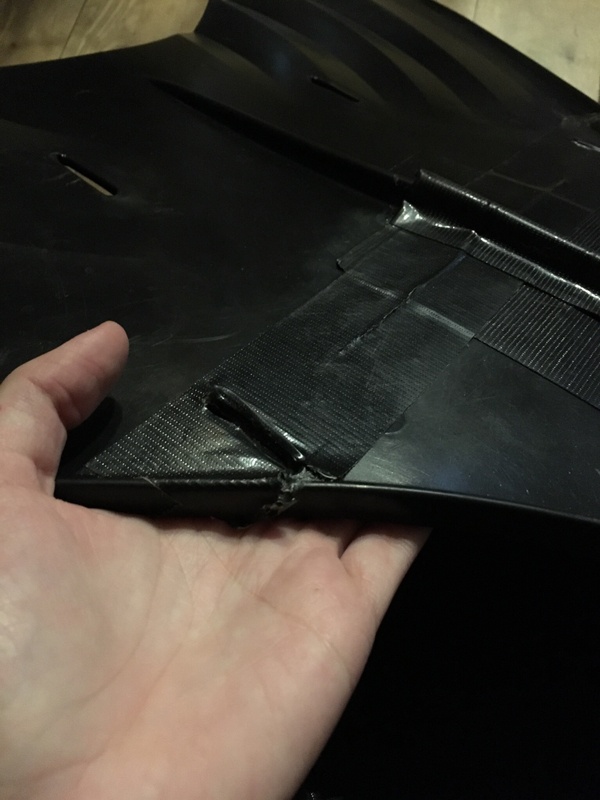 Swimtails customer service was really good when they do snap, but the design is such that no matter how many times you replace it, it still breaks. That being said, finfun I think makes a better quality product. They seal the tips of the skins in plastic that makes them virtually indestructible, and their monofins have a design that better handles bending them back and forth. The only drawback from that company is the neoprene cover that you slip your feet in. It doens't hold your feet down so well, but just adding velcro straps can fix that. As for their skin designs, every once in a while they put out limited edition ones that are just stunning. That’s a bummer. Where does it break on yours? I’ve had mine for two years now and it’s totally fine and surprisingly my kid hasn’t broken hers yet either. It starts right where the most stress is applied, right at the tip of the toes, and just gets worse. I thing that plastic ridge is trying to fix that, but doesn’t do much. I just started mermaiding as well, and my first tail is actually a misprint from Finfolk Productions. It is somewhat more expensive than Finfun, and it is tighter and more difficult to get in and out of, but I wouldn't trade it for anything. The thing about Finfolk tails, though, is that they require a more durable monofin than Finfun or Suntails. As I've never swam with the kind of neoprene pockets monofin as they use, you should probably take this with a grain of salt, but for me they look very flimsy. I started out mermaiding by simply getting a Finis Foil monofin and getting used to it, and I really like it. It's comfortable, durable (although some do report the straps breaking) and gives me a very good propulsion. Good luck with your choice regardless of what you pick! I do agree that fin fun mono find are very flimsy. The neoprene gets loose, and your feet aren’t strapped on. If you are an aggressive swimmer I wouldn’t recommend. My first tail is a Magictail Pro with the Mahina Monofin. It's really comfortable and nice but the fabric is a little see-through. Honestly, for your first tail, I would get a cheap one from Amazon. You can get one for $35 or so. Yeah, it's cheap, but it will give you an idea of the tails, let you practice, and make some mistakes in it. Amazon has lots of badly made and possibly dangerous cheap tails, though. If you take that route, make sure you get a safe one. This monofin provides a more powerful swimming experience for mermaiding. You can learn more about this affordable monofin at https://www.finfunmermaid.com/advanc...fin-pro-adults. You can also watch the AMP in action at https://youtu.be/b_PNzdZokUI. Please let me know if you have any questions. I am happy to help! I would for sure get a nice one, but I don't know if I would do it for your first one. My wife has purchased probably 9 different fabric tails. The first couple were cheap ones as she was learning to swim in them and getting to know what was out there. You also have to learn how to take care of the tails. I would just hate to see you spend a few hundred on a really nice tail, then have it rip or tear or get damaged in some way. My first tail is a Guppy from mertailor. It is a fantastic tail and I love it. It was $159 and came with a Mermaid Linden monofin, which is a really great monofin. Sturdy, comfortable, great propulsion. Are people actually recieving these tails? I found out i am actually an in the forced refund window from the cc for my stupid Swimtails tail (my fiance ordered it so i was confused)...i want a mertailor tail if people are actually getting their tails. I think it took a week or two to get my tail from mertailor. He ships super fast. From the looks of it, Swimtails is cutting and running with people's money. Finfun, Suntails, Magitail and Mertailor should all still be safe to order from.